SHAFAQNA – Some people’s ingratitude must not prevent you from doing good deeds because there are people who praise you without benefiting from you and this appreciation is more useful than ingratitude of those who do not appreciate your deeds . As is mentioned in Ayah 134 of Surah Al-e-Imran, God loves those who do good deeds. 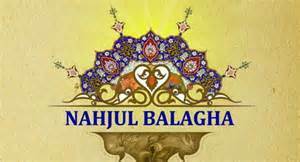 Nahjul Balaghah, Wisdom Number 204.